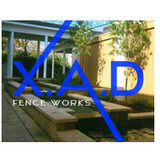 X.A.D constructs quality fences, decks, arbors/ pergolas and more across Louisiana. 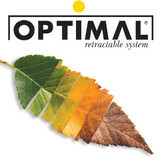 We give top quality work with the finest materials and have unbeatable customer satisfaction. 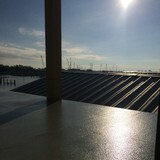 We also are the only business in BR that uses screws instead of nails for structural joints. X.A.D. 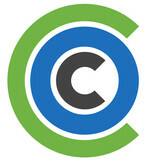 is a driven business that will beat any reasonable competitor's estimate. Unlike most big companies, we take the time to get to know the customer and make sure that their every need is met in a timely fashion. Aluminum Specialties Manufacturing, Inc, a family owned and operated business since 1964, manufactures and installs custom aluminum patio covers, awnings, screen rooms, glass enclosures and just about anything else you might need covered. Aluminum Specialties Manufacturing is licensed, insured, and provides a limited warranty. Our installers can build the aluminum patio covers at your home or business in the Greater Baton Rouge Area. If you prefer to install yourself, we manufacture the material so you can do-it-yourself. For 32 years, Tommy Trosclair Home Improvements has been providing south Louisiana customers with superior craftsmanship and the highest quality materials. We can help you plan your home improvement project so you can make the best decisions for your needs. We are fully licensed and insured. Call us today to get your project started. When the temperature heats up in Kenner, there’s nothing like having a deck or patio to kick back on and enjoy the warm weather. A functional deck design and patio layout is dependent on meeting your specific needs, so it's a space that needs to be created carefully. Luckily, there are professionals to handle your deck installation or patio design — hiring a Kenner, LA deck and patio builder is your surefire ticket to creating an outdoor oasis! What services do deck and patio builders in Kenner, LA provide? To help you choose the ideal style, configuration and materials for your deck or patio, your deck and patio contractor will survey your Kenner, LA lot and your home to come up with a design that complements your exterior as well as being structurally sound. He or she will recommend sizes, heights and construction materials that suit your lifestyle and climate, as well as explain the best stain or finish options. Additionally, deck and patio professionals can provide insight into additional components such as outdoor kitchens, patio covers, fire pits, outdoor lighting, arbors and more. Your deck and patio professional might work closely with another Kenner, LA lawn and landscape professional. Here are some related professionals and vendors to complement the work of decks, patios & outdoor enclosures: Landscape Architects & Landscape Designers, Garden & Landscape Supplies, Stone, Pavers & Concrete, Landscape Contractors, Building Supplies. Find a deck and patio builder in Kenner, LA on Houzz.